Hi there! My name’s Angie and I have a passion for horses, yoga, and traveling and a love for sharing photos and stories. I’m an RYT-200 (200-hour Registered Yoga Teacher), Certified Buti Yoga Teacher, and a lifelong horsewoman. In addition to teaching yoga and horsing around, I take advantage of opportunities to travel as much as possible. When I’m not on my horse or my yoga mat, you can find me reading (probably something by Virginia Woolf or Shakespeare), hiking, snowboarding or getting on a plane to my next destination! I call Virginia in the United States home, but anywhere I unroll my yoga mat or connect with a horse makes me feel at home in my soul. Horse Yoga Girl is a place where I share insights I’ve gained from spending time with horses, wisdom gained from practicing and teaching yoga, and photos from my horsing around, yoga, and travels. I enjoy turning strangers into friends, hiking or riding for hours to find a breathtaking vista, trying foods I’ve never had, and swimming in new seas. Tuning into the distinct hum of a city intrigues me just as much as finding quiet solitude in the woods. Follow me on Instagram for more photos and updates. Like me on Facebook, too! 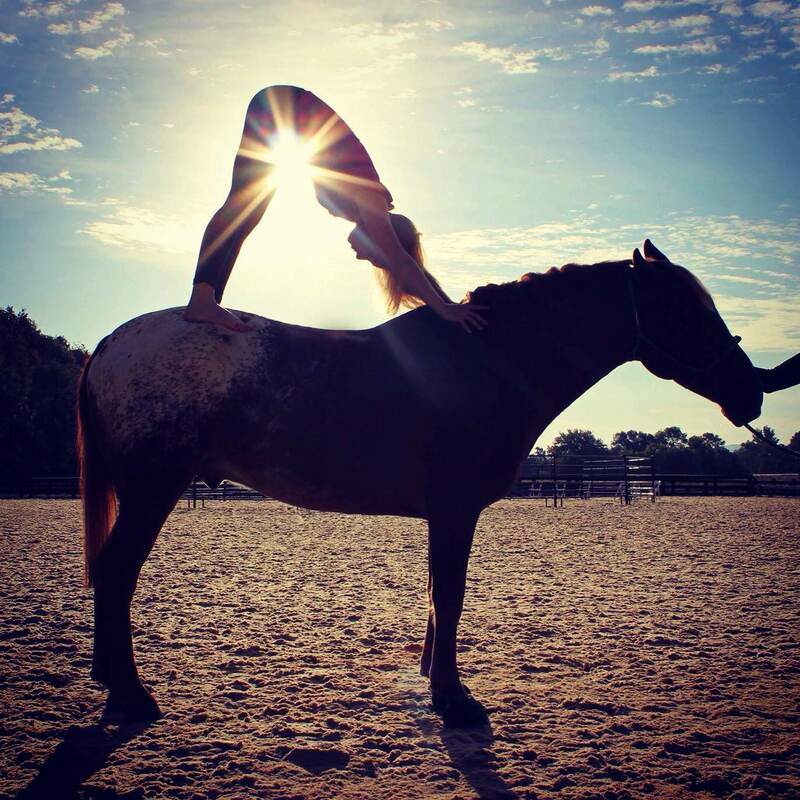 Actually, I am wondering if you could help connect me with yoga for equestrians in Minnesota? My sister in law has a horse boarding business where she also does pediatric therapeutic horseback riding lessons. She recently has been interested in yoga for equestrians and I’m hoping to get her connect to someone for her Christmas present:) any help is much appreciated!